Attention cable and satellite subscribers: A new option for your TV service could be coming soon. Sony has reportedly struck a preliminary deal to carry Viacom (VIA) content on its upcoming pay-TV offering -- and the twist is that the shows would air at the same time that traditional cable or satellite customers can view them. If the tentative deal, reported by the Wall Street Journal, goes through, it would help Sony (SNE) stand out from other companies that are trying to launch an Internet-based TV subscription services, such as Intel (INTC). Apple has also been long rumored to be releasing its own "iTV" television, but its negotiations with cable providers have reportedly stalled. Becoming a cable competitor, as Sony appears to be doing, could be a path forward for Apple (AAPL). But a content coup for Sony doesn't necessarily mean consumers will win out. Unless Sony is able to upend the cable industry completely (good luck with that), you still won't be able to start picking and choosing channels a la carte rather than paying for a raft of unwatched networks. Your cable bills won't go down. 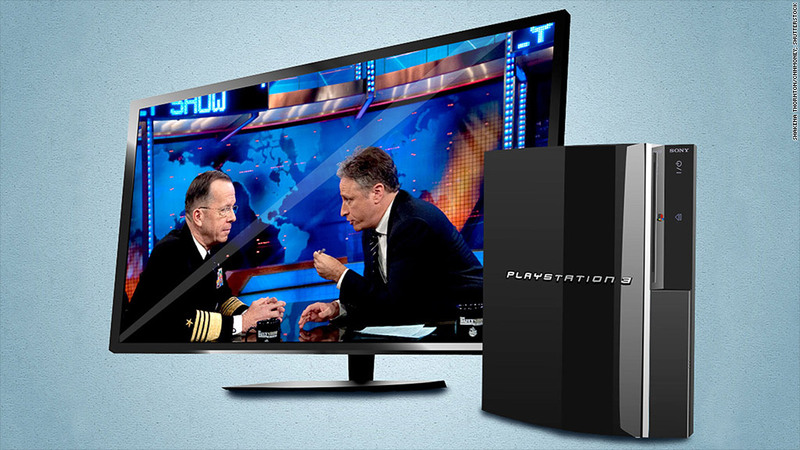 Instead, Sony and other Internet-based pay-TV services will probably look a lot like ... regular pay-TV. Sony whose service would stream through its smart TVs and PlayStation gaming consoles, would simply become another alternative to Comcast (CMCSA), Dish Network (DISH) and DirecTV (DTV). That's because the TV business is deeply entrenched. Networks and cable providers are dependent on each other to survive, and they have no financial incentive to stop making a ton of money. While networks like Viacom have proven willing to play ball with new entrants on the pay-TV scene, they have no motivation to offer Sony anything other than what they give regular cable providers. Viacom offering Sony or Intel an un-bundled set of channels, for example, would alienate their bigger partners in the cable industry. Plus, it would be costly: a recent report from Needham Insights showed switching to an a la carte model would cut cable and network revenue in half, to about $70 billion. And so Sony is highly unlikely to cut special or cheap deals that will make a serious difference for TV customers. While more choice is always a good thing for consumers, it's likely this choice will look very similar to what's already out there.